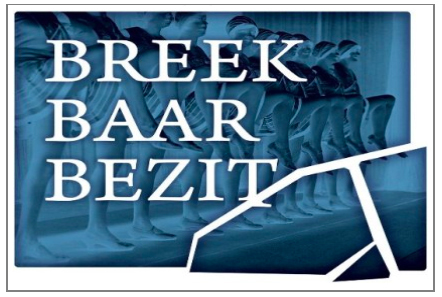 November 28 and 29 2013 the symposium “Breekbaar Bezit” will be held at the Fotomuseum in Antwerp. Photography on glass will be the theme. Topics covered among others will be the history of glass in photography, the nature of the material glass, the photographic processes, storage, transport, digitising, handling and treating different kinds of damages of photographic glass plates etc. The first day of this symposium will start with a series of lectures with regards to the history of glass manufacturing and an overview of all the different kinds of photographic techniques of which glass forms the carrier. Different coatings and retouching of the plates will also be given attention. In the first half of the first day there will be a series of demonstrations of various techniques on glass, for example ‘dry plate collodion photography’ by Jeroen de Wijs and ‘albumen on glass’ by someone whose name I forgot. The second half after a break will be about demonstrations regarding digitising, duplicating and printing of historic techniques on glass. The second day is mostly aimed at conserving glass plates and its difficulties. Some cases will be examined regarding transport, condition survey and breaking of as well as the glass negative as the daguerreotype-coverglass. After the regular program it’s possible to subscribe to a tour through the camera collection of the FoMu in Antwerp. This tour will take approx. half an hour and is being held twice consecutively. If I can fix it at work (I’ll register anyway) which should be okay by then I hope I really want to go. It sounds very interesting and it would be a good excuse to finally visit the FoMu in Antwerp, including a camera-collection tour! This entry was posted on July 3, 2013 by Contrastique. It was filed under Miscellaneous and was tagged with albumen on glass, antwerp, breekbaar bezit, dry plate collodion, fomu, fotomuseum antwerpen, glass plate photography, symposium, symposium breekbaar bezit.